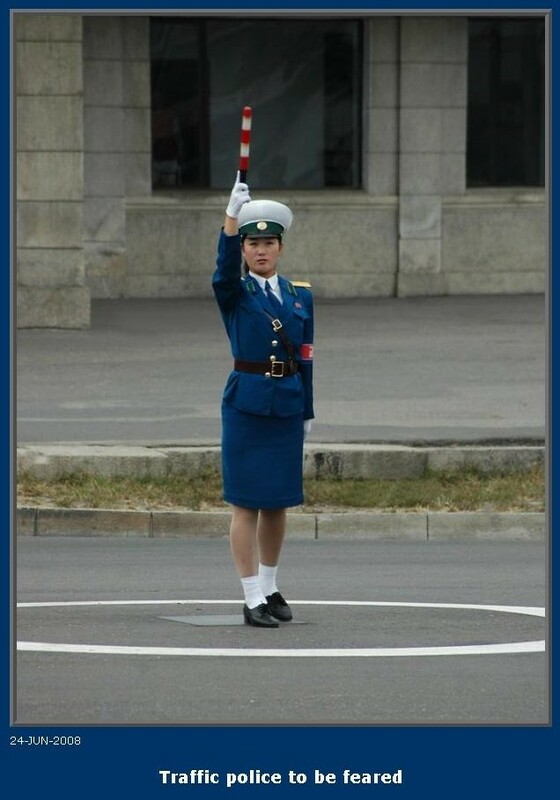 Pyongyang Traffic Police ... to be feared! Apparently someone is afraid of our beautiful young traffic lady, judging by this caption. I would be very afraid too, if I were in North Korea. I'm not afraid, I can handle her. I am sure if you obey her you have nothing to fear; disobey the Traffic Polielady and she will have you in hnadcuffs in no time!